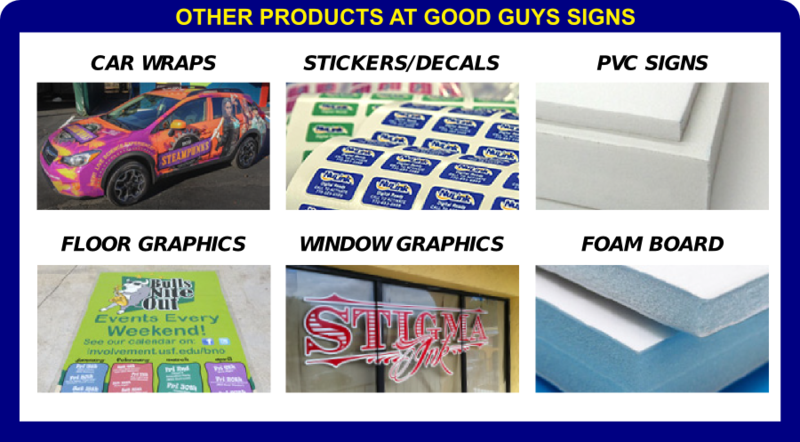 Good Guys Signs uses high quality materials along with some of the most advanced printing equipment available. Let us help you prepare for tax season today! From design to print in just a few days! 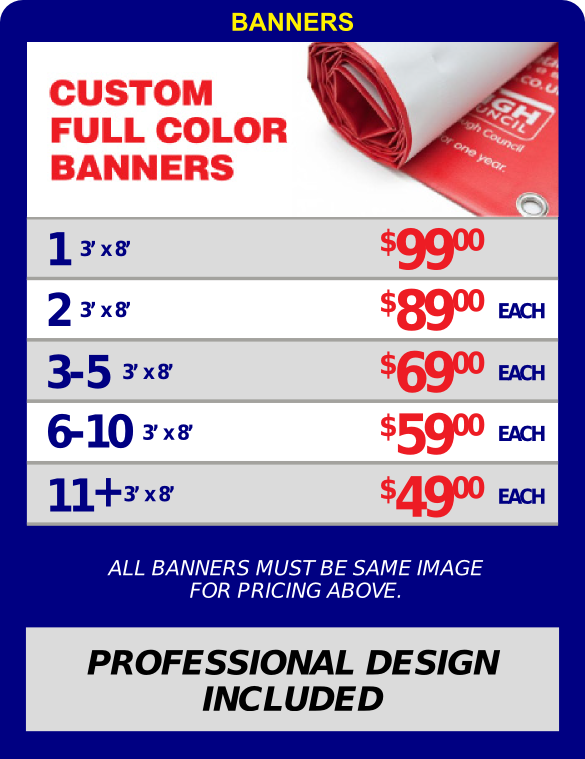 Call us today to get started on your custom signs! It’s never too early to start preparing for tax season. Whether you are in need of tax preparation signage or tax service signs, Good Guys Signs is your destination for all types of tax signage. We have customer service experts available to help you maximize your advertising budget. 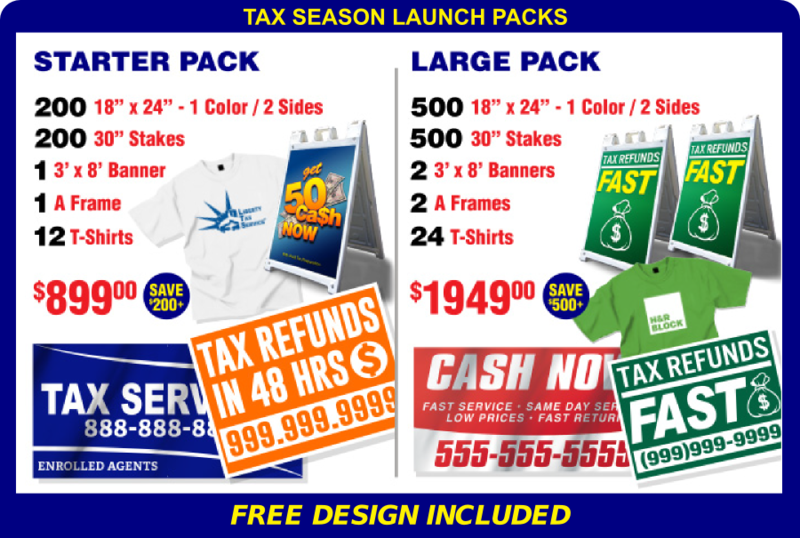 We have professional designers that can help create a custom tax preparation sign design to meet your specific needs. Need a little inspiration for your income tax sign? 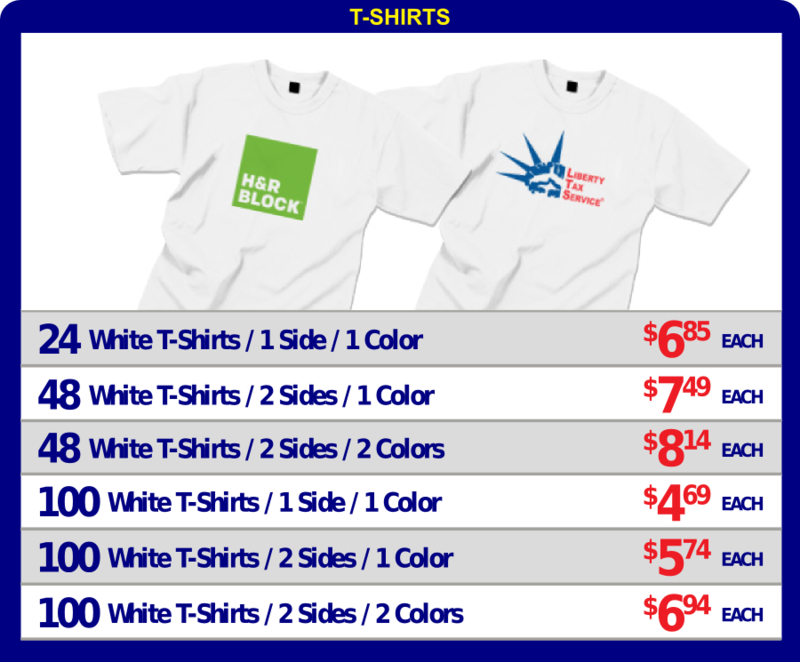 We offer a variety of templates ranging from simple, single color designs to impactful, full color tax signs. 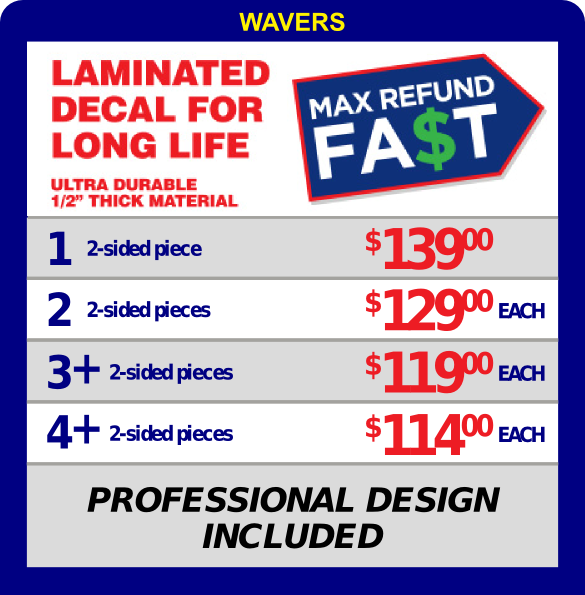 All of our tax service sign templates can be customized to fit your needs. Income tax signs come in all shapes and sizes. 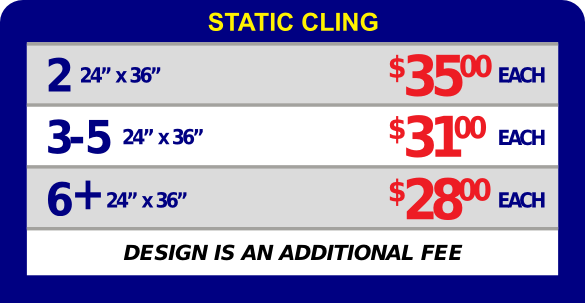 We have a variety of signage options available from indoor to outdoor, short-term to long-term. 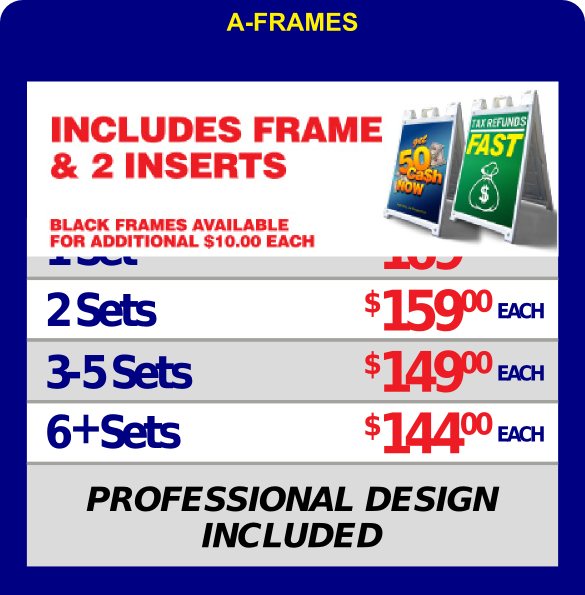 We can create a tax sign package to fit your budget. 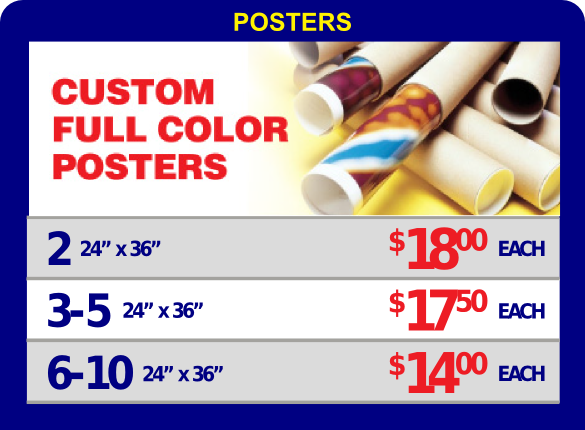 Our variety of indoor signage includes banners, banner stands, foamboard signs, posters, pvc table signs and much more. We also offer vast array of outdoor sign solutions, including banners, sidewalk A-frame signs, waver signs, window clings, window stickers, vehicle graphics and floor graphics. Many tax businesses have seen tremendous growth in their tax filing business by taking advantage of yard signs. 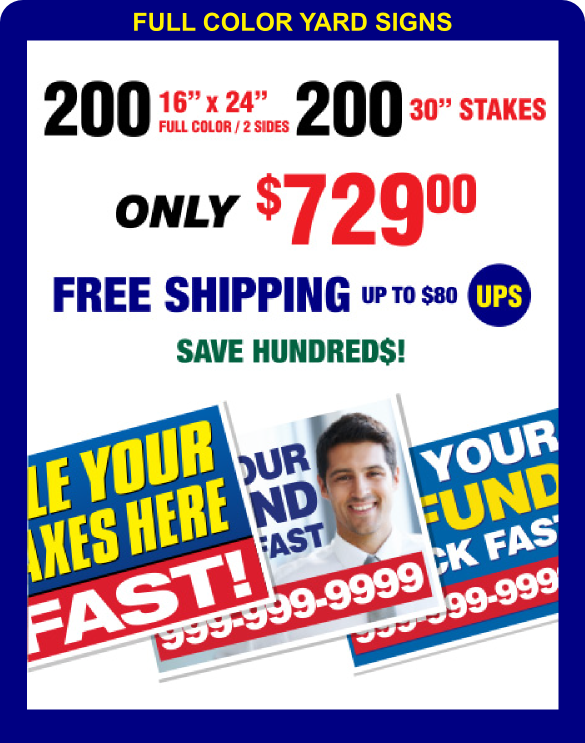 Often called bandit signs, Tax yard signs can direct more traffic to your website, a phone number, or a physical location. Many tax preparation businesses use yard signs around their businesses for directional signage, too. 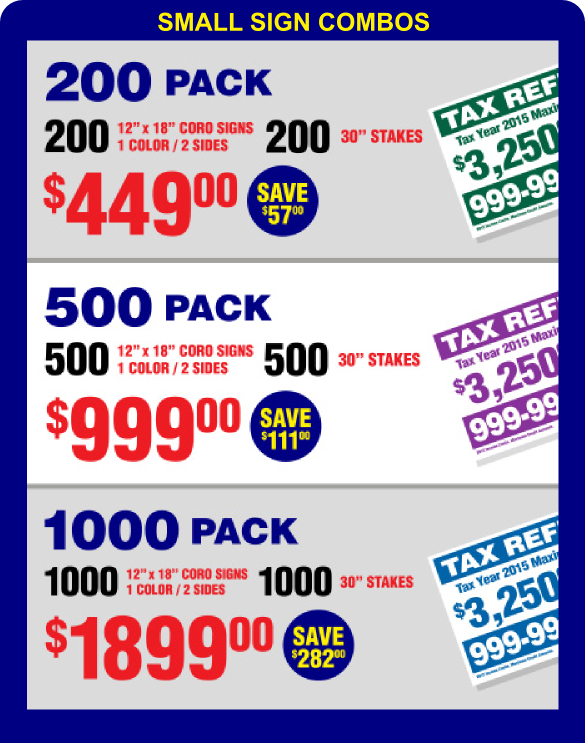 Tax preparation yard signs are a great way to build your volume immediately. If you want a swift bump in your tax filing business, a yard sign program is a cost effective way to grow quickly. Here at Good Guys Signs, we pride ourselves on using state-of-the-art equipment and high quality materials at low prices to provide our customers with the best value in the business. Call today to make sure you are prepared for tax season.